I recently ventured down to Richmond to attend the first Richmond Brewers' Fair. It was a fun event, and featured a range of breweries, both old and new. Among the newer operations was Reunion Ales, which in just the last few months began brewing "next to Hanworth Park where the Longford River runs south to Hampton Court Palace". I bought a pair of bottles at the Fair, and here are my thoughts on Reunion's inaugural output. Appropriately enough, I'll start with the Opening Gambit. The first thing to notice is that the beer is immaculately clear. Given the ubiquity of cloudy or hazy beer, especially here in London, it's something of a novelty to pour one like this. The CAMRA gods must be smiling. The aroma is straight-ahead British golden ale, with dry and crispy biscuits, touches of citrus rind, suggestions of grassy hops. The flavour follows well, with further pale, biscuity malt character, some husky grains, grassy bitterness, orange peel. With its light body and adequate, massaging carbonation, this is a very easy beer to drink. The finish has just a whisper of lip-smacking bitterness, some hay, more grass and citrus rind, and a ballast of bready malts. Overall, Opening Gambit is a very nice beer, and all the more impressive for such a young brewery. I gather this will be one of the core beers for Reunion, and I would say that's a good choice. The flavour profile is relatively restrained so your palate won't get worn out. Couple that with a low ABV (3.8%) and you've got a highly drinkable beer. 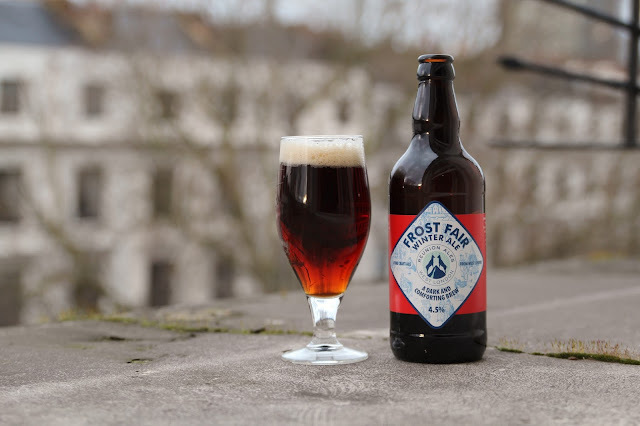 For their winter ale, Frost Fair, Reunion have ramped up the ABV to a comparatively heady 4.5%. This seasonal offering also pours perfectly clear in chestnut brown, with a creamy head atop. The relaxed aroma gives off notes of toasted caramel, wholegrain bread, perhaps some dried berries. The flavour is dialed in, presenting a pleasant balance of toasty-bready sugars and mellow toffee, with earthy and leafy bitterness, along with edges of leathery fruits. As with the Opening Gambit, the body here is fairly light and the carbonation level is spot on, lending the beer a massaging texture. In the finish the bitterness kicks up a bit more, with prominent earth, toasted grain husk and even impressions of baking cocoa; further undertones of bready malts and dry toffee round things out. 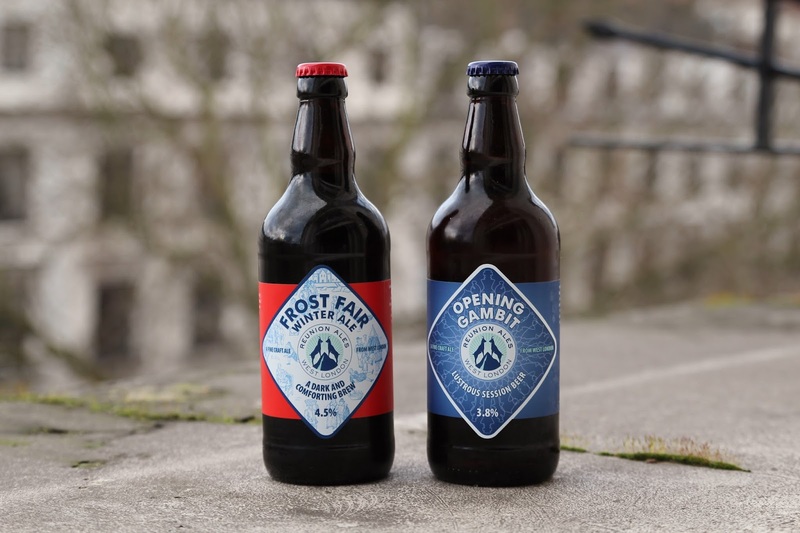 This winter ale is not a showy beer, but it hits the right notes and makes for an easy-drinking beverage. 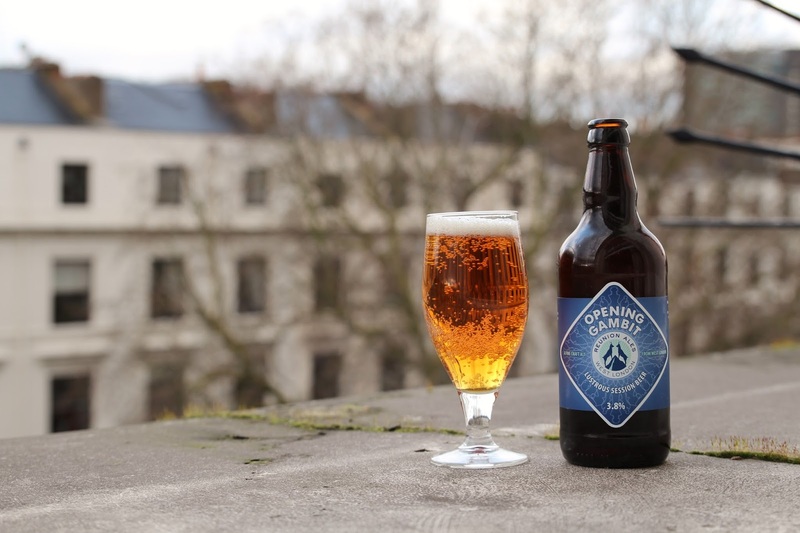 At 4.5% it's certainly not in the realm of heavy-hitting winter warmers, barley wines or imperial stouts, but it would make for a nice respite from a classical ale drinker's normal diet of bitters and golden ales. And speaking of classical ale drinkers, I think that is exactly the demographic that could be attracted to Reunion. While two beers is obviously a very small sample size, if they are any indication of the direction the brewery plans to take then I think it's safe to say that it is not making a play to encroach on the turf of more progressive breweries. And that's absolutely fine. I love Kernel IPA Citra; I love Fuller's London Pride. There's room for all styles of beer when they are brewed well - and in the case of Reunion, I would say they are off to a very good start.